I offer special reduced pricing for Hospitals, Dr’s, Midwives and Businesses who select these baby shoes as their Thank You / Congratulation to their new mothers. There are 3 different options to choose from. 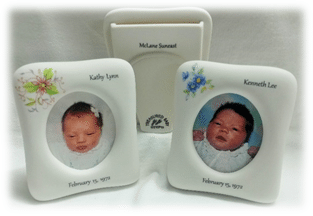 Your office provides the birth information to us through a page created for you on our webpage. Completed orders are mailed to your office. Completed orders are mailed directly to the mother. Your office can provide each new mother with a gift certificate for a shoe. The new mom fills out their information on a webpage created just for your patients. We process their order and mail their shoe directly to them. We will keep your credit card on file in a secure location (not on the computer). When shoes are ready to be mailed we will run your card and email you an invoice and a credit card reciept.